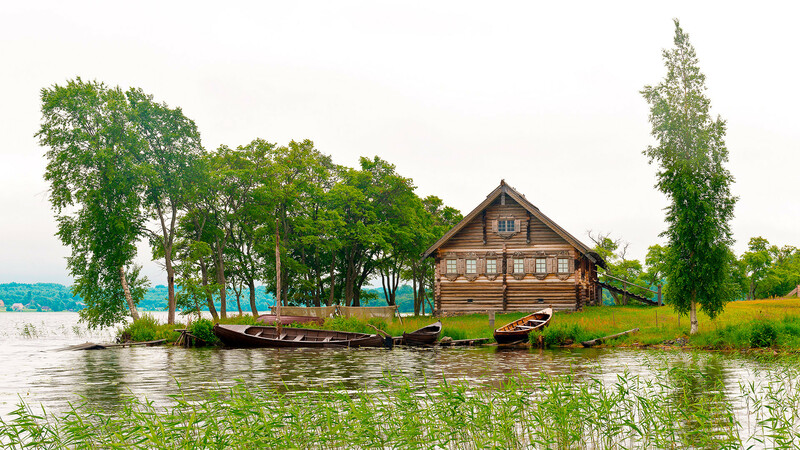 Kizhi Island on Lake Onega in the Republic of Karelia. 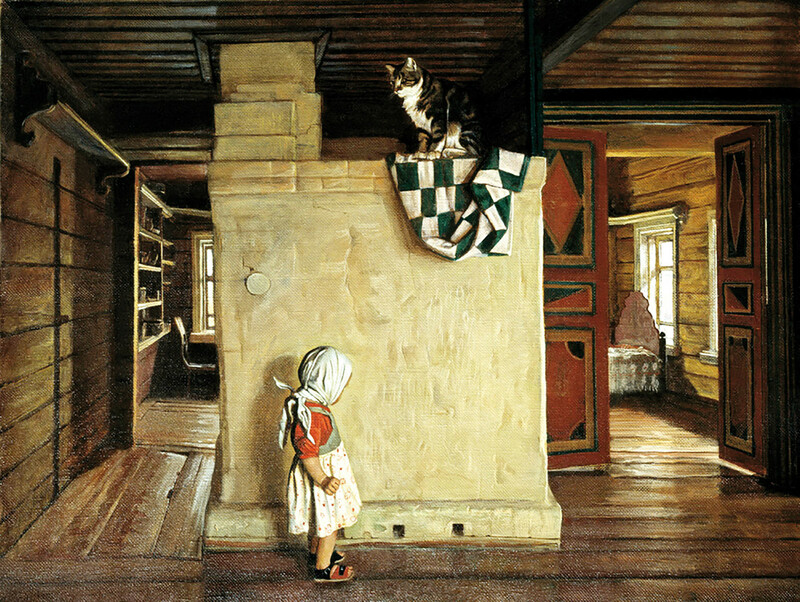 For centuries, it was the main type of housing for Russians. While more and more Russians today live in residential apartment buildings, izbas can still be found throughout the country, and some are real masterpieces. 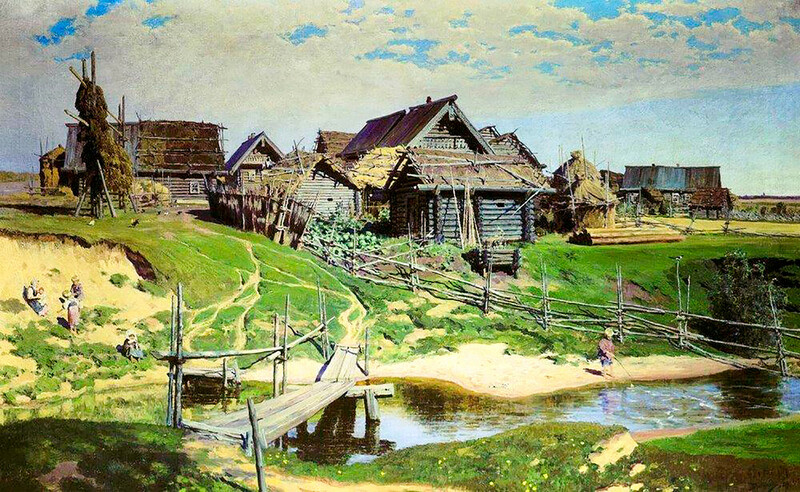 Izba, a traditional log house, was the most common type of housing for peasants in the Russian lands from the time of ancient Slavs until the early 20th century. Izba had a two-sloped hay roof and windows in the front. Instead of a foundation, there was just a wooden floor. 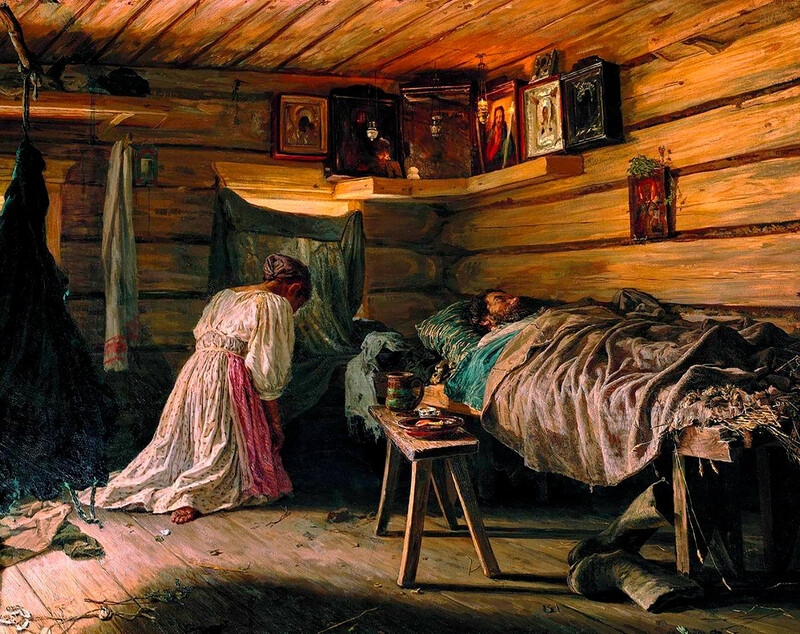 A typical izba had only one big room, where the peasants cooked, ate and slept. The focal point of life inside the izba was the large brick or clay stove. The very word izba derived from the ancient Russian word, “istopit” (to fire a stove). The stove was built on a foundation to keep the house from leaning to one side. Inside the base of the stove, dishes and cookware were stored. 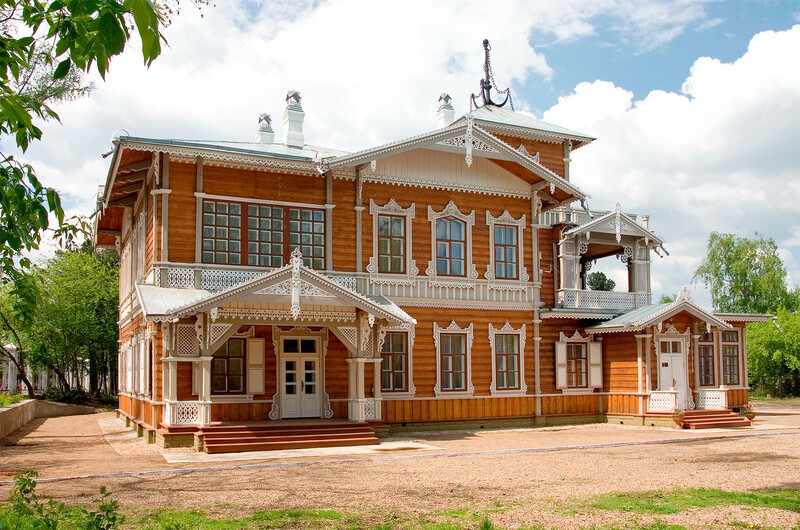 This izba was built in the last half of the 19th century in Karelia by the wealthy peasant Oshenev. The large two-storied building was constructed with the harsh conditions of Russia’s North in mind, and so, the living quarters and storage are under one massive roof. Today, it’s a part of the famous Kizhi Pogost, a historical site famous for wooden architectural masterpieces. Blacksmith Sergey Kirillov spent 13 years in the mid 20th century building an izba in the village of Kunara in the Sverdlovsk Region. This izba looks like a colorful gingerbread house from the story of Hanzel and Gretel, but the figures of Pioneers (communist youth) on the roof are a reminder of its Soviet origin. City mansion of Vladimir Sukhachev. This city mansion of the wealthy Siberian patron of the arts, Vladimir Sukhachev, was built in Irkutsk in 1882. Thanks to close relations between Siberia and China in the 19th century, Oriental art was popular at that time. This is why Chinese motifs can be found in the interior of this estate, which is still full of life today and hosts concerts, exhibitions and many other activities. 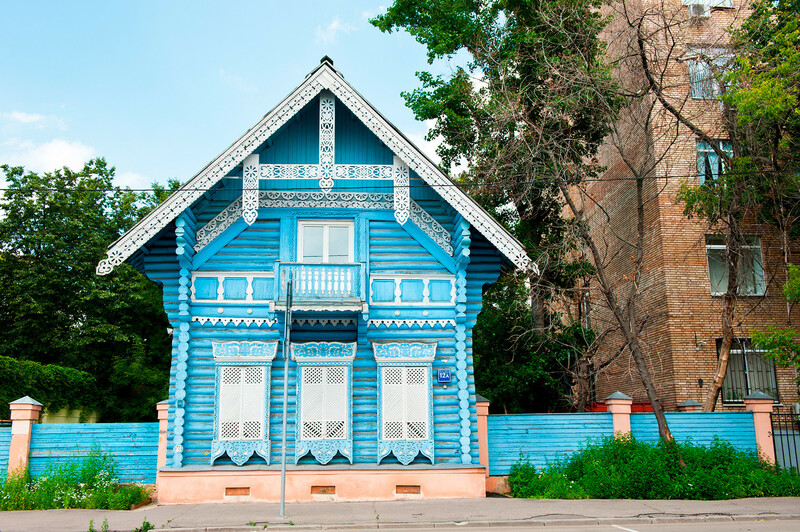 Not much of Moscow’s ancient wooden architecture remains, but there are exceptions. An izba in the Moscow district, Khamovniki, was built in 1856 and belonged to the famous Russian historian Mikhail Pogodin. This log house, like something out of a fairytale, stands alone among modern skyscrapers. The Europe House (Shastin's House) in Irkutsk. 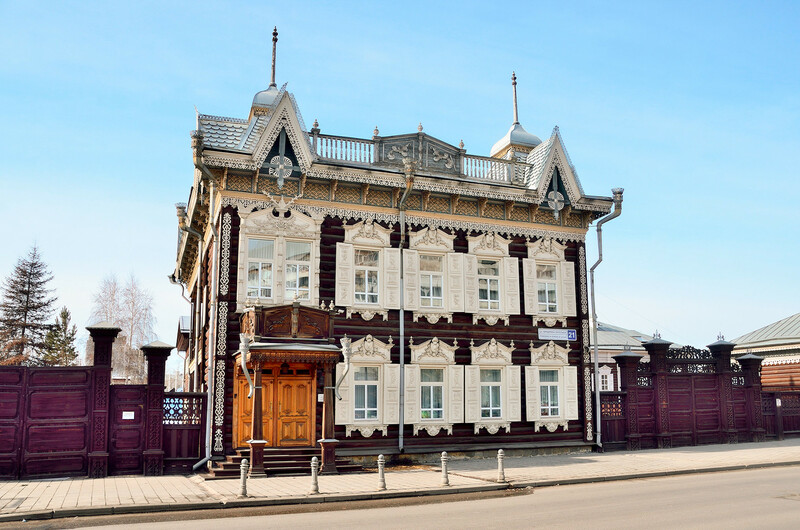 Every tourist who visits Irkutsk should see the so-called “European Home,” which was built as an estate for the Schastin merchant family in the 19th century. 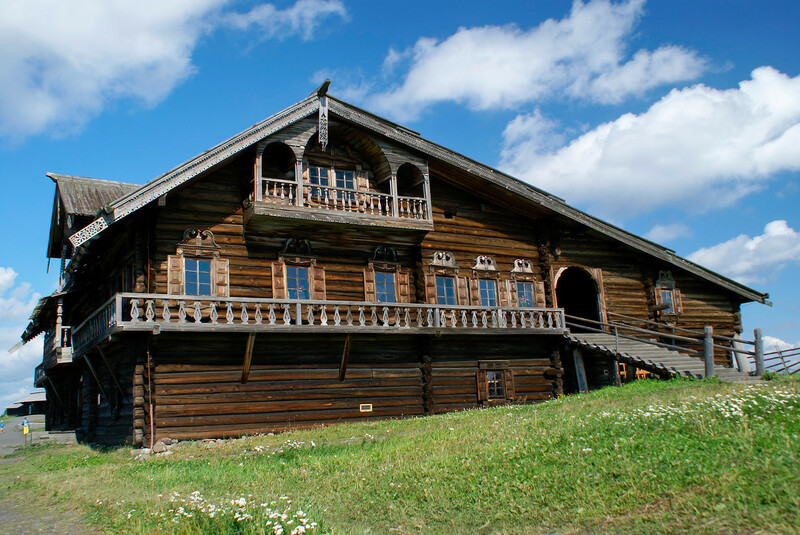 In the first years of the 20th century, the log house was richly decorated, and now is a gem of this Siberian city. 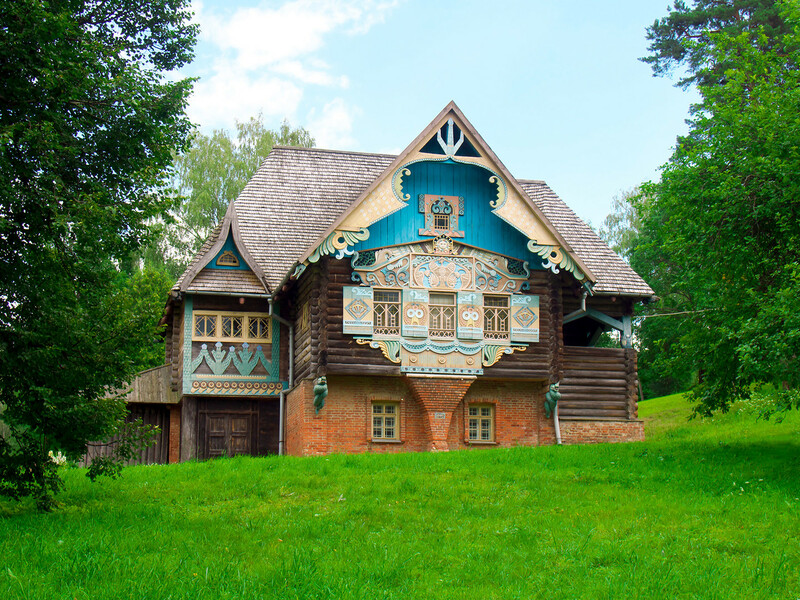 Teremok (“little palace” in Russian) is a true masterpiece of Russian wooden architecture. 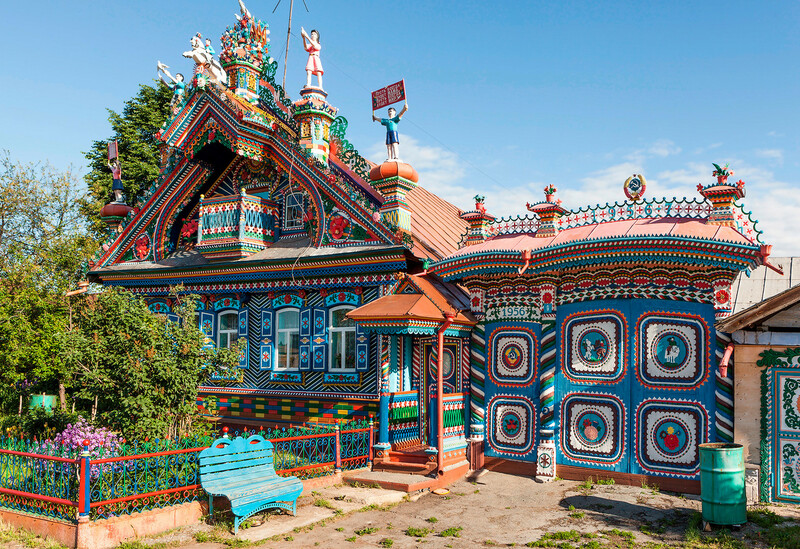 Located in the Smolensk Region, Teremok amazes with the beauty of its decoration. For hours tourists may enjoy colorful images of splendid creatures from Russian folktales and myths. Project and Construction Buerau "Russkie Khoromy". Today, izba is no longer the main type of Russian dwelling. Still, it has a good chance to come back into fashion. 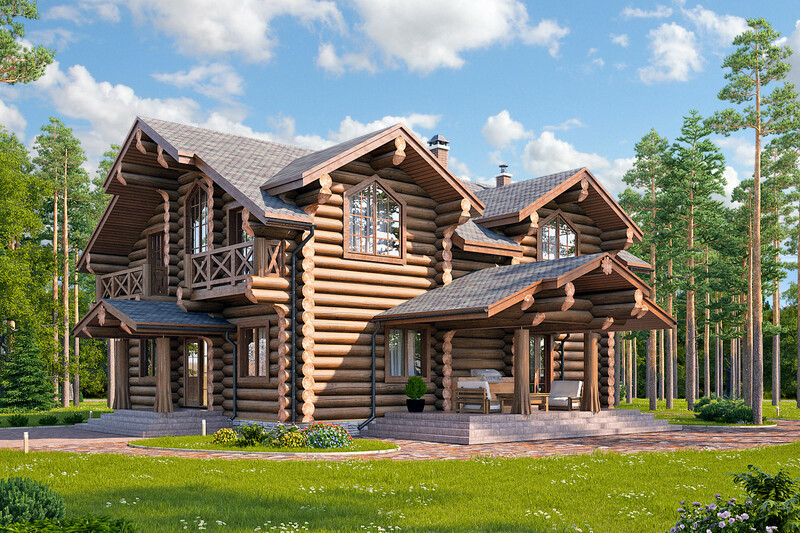 Several Russian companies specialize in building izbas that combine ancient traditions with a modern level of comfort.